The word "linen" has become a generic term, as in "hope chest linens", "household linens" or "table linens". But today many of the pieces loosely included in these terms are not technically linen. Does it matter? Does anyone really care? Maybe. Linen threads come from the flax plant, also known as linseed. Flax is native to the region extending from the eastern Mediterranean to India, although it is now cultivated in other areas. The flax plant is an annual, from 12 to 36 inches tall with a blue flower. The fibres are extracted from the bast, or skin, of the stem and go through several processes before they are spun into thread, including a long and smelly process called retting. Linen is the strongest of all vegetable fibres, two to three times as strong as cotton. During WWI it was used for military kit, bags and tents. Butcher's aprons withstand constant and vigorous laundering.  Its natural wax adds a soft luster and it achieves a lint-free polish to fine china and glass. You can usually identify linen fabric with the naked eye as its varying-thickness threads add a subtle, irregular texture to the weave. Linen became the fabric of choice for fine home furnishings and handwork of all kinds, destined to be handed down from generation to generation. The names "Irish Linen", "Italian Linen", etc. refer not to the country in which the flax was grown, processed or spun; but to the country in which the fabric was woven. Italian linen is frequently naturally shaded, ecru or off-white. Italian linens are especially prized for bold cutwork lace and showy fringes. Once a widespread cottage industry in Ireland, linen weaving has been refined to produce fine quality fabric of luxury status. Irish linen is usually white and very closely woven. 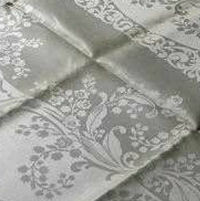 Irish linen damask or double damask table linens are generally agreed to be the best of the best. Huck linen towels, sometimes with damask-woven patterns were once to be found in every kitchen and bath, often decorated with handwork, lace or embroidered monograms. 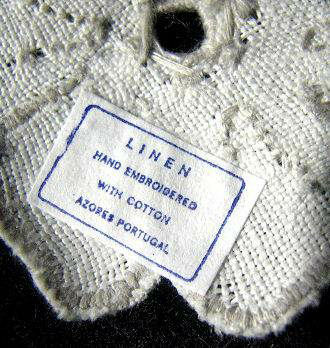 Extremely popular Irish linen pieces were sold in packages of hanky-size squares, called hanky blanks, to which were added handmade lace borders. Note: Rice linen is NOT the same as linen made from flax. Pieces woven from rice linen are sheer white, usually with exquisitely delicate white hand embroidery. The fabric is fragile. It must the handled with TLC; it will not withstand frequent use or launderings. Returning to the original questions....Yes, sometimes. You care if you want the best. You care if you are choosing for lasting quality. You care if you plan that beautiful handwork applied to the fabric will become a family heirloom.